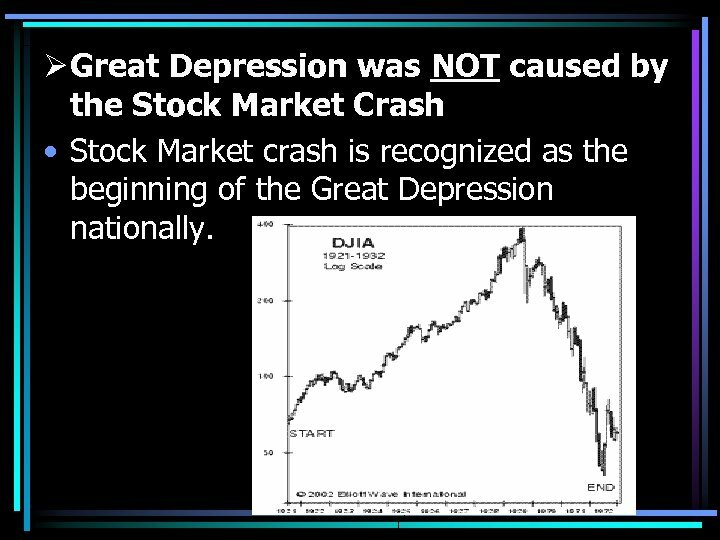 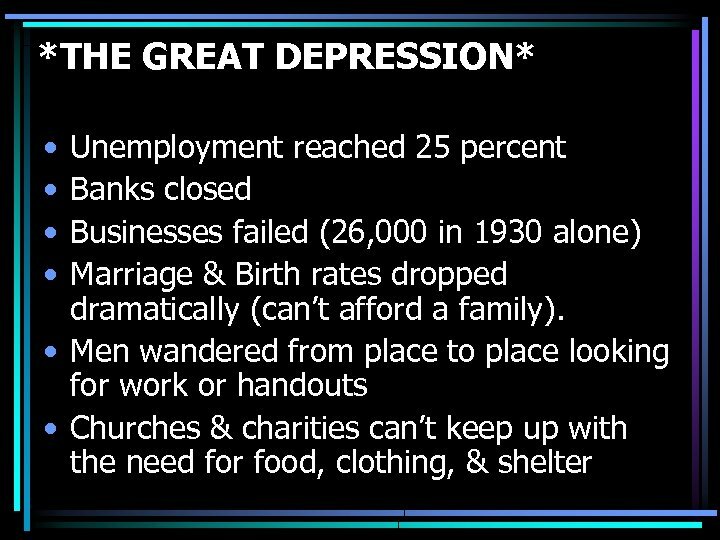 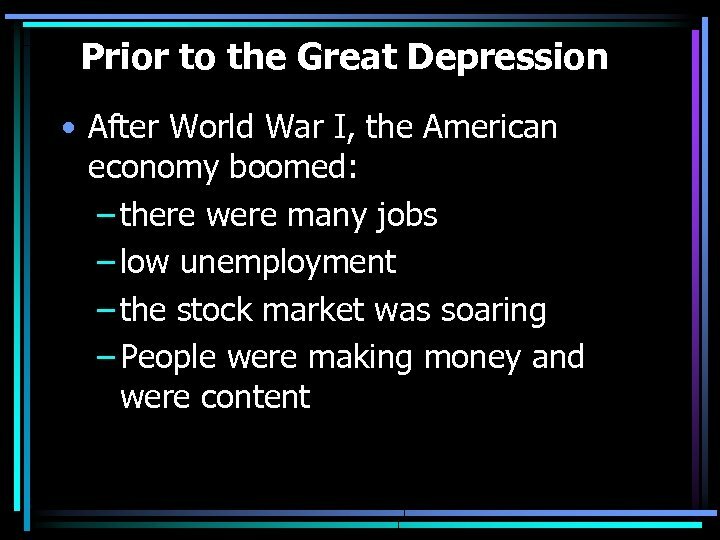 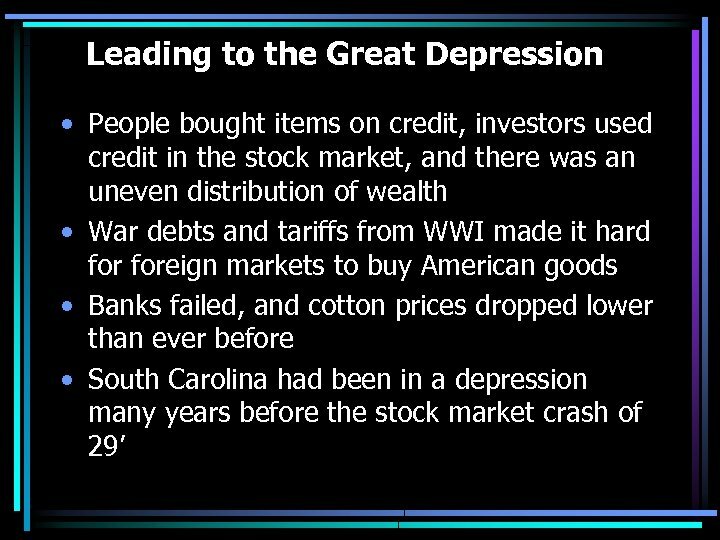 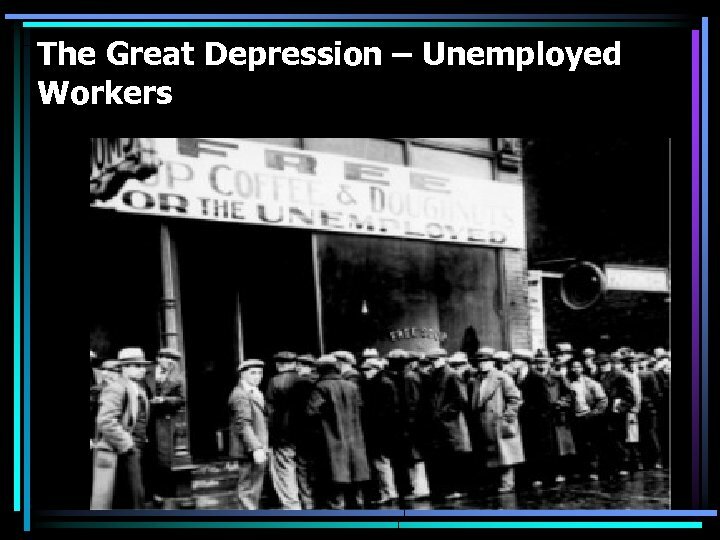 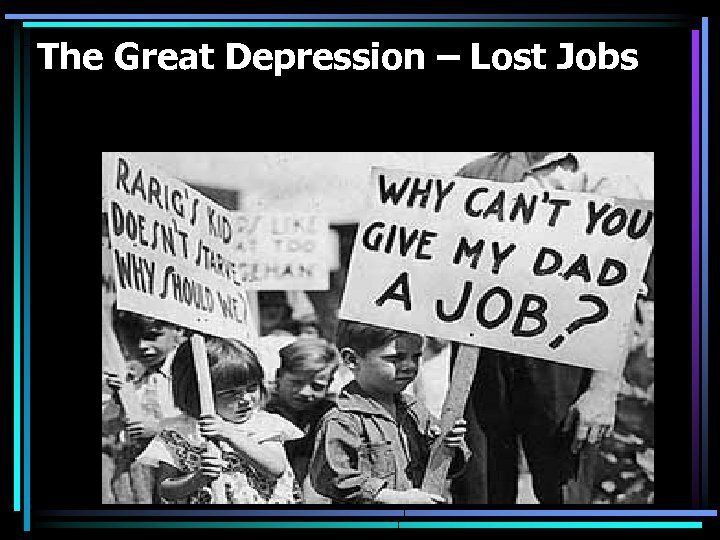 Ø Great Depression was NOT caused by the Stock Market Crash • Stock Market crash is recognized as the beginning of the Great Depression nationally. 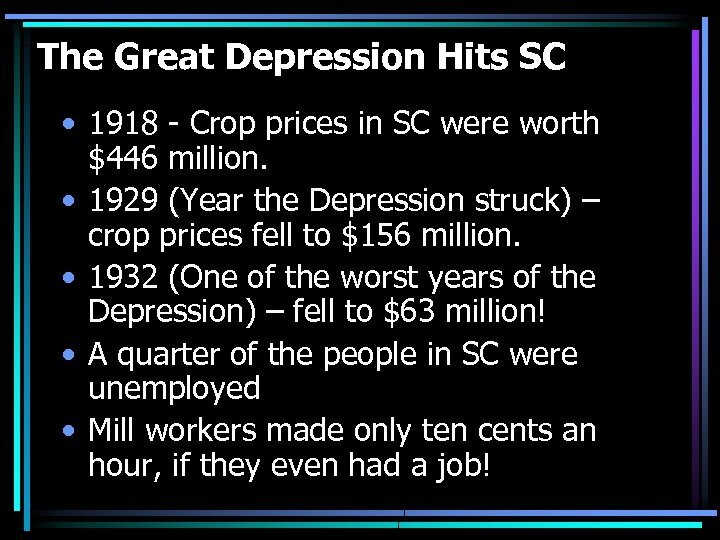 The Great Depression Hits SC • 1918 - Crop prices in SC were worth $446 million. 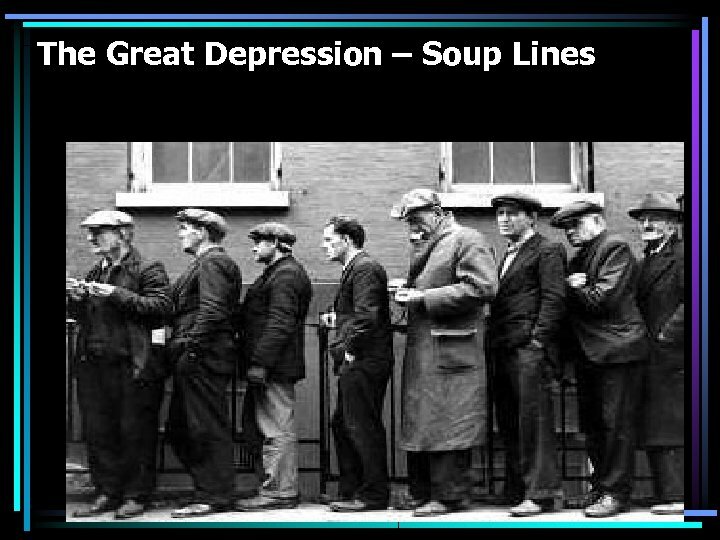 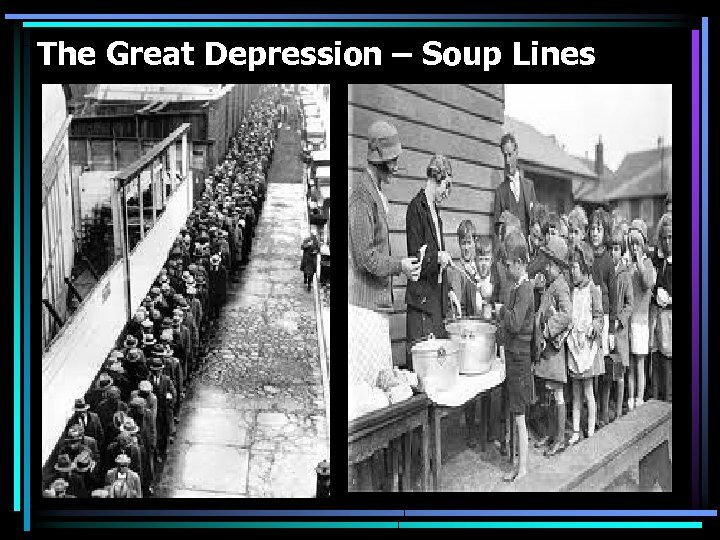 • 1929 (Year the Depression struck) – crop prices fell to $156 million. 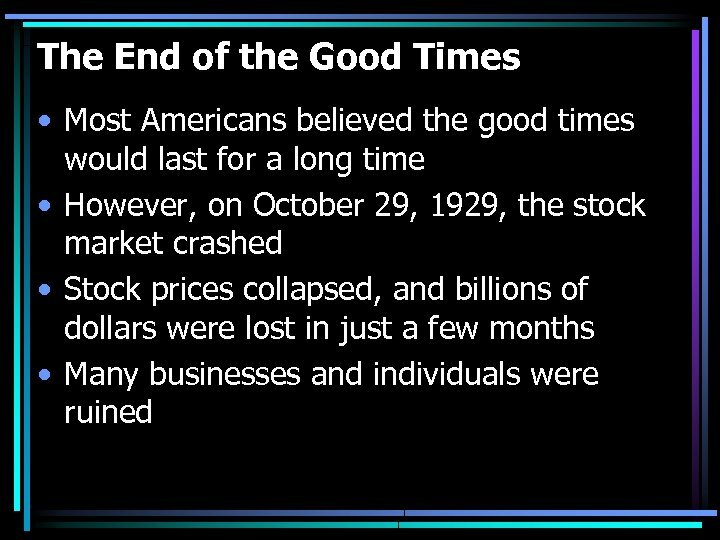 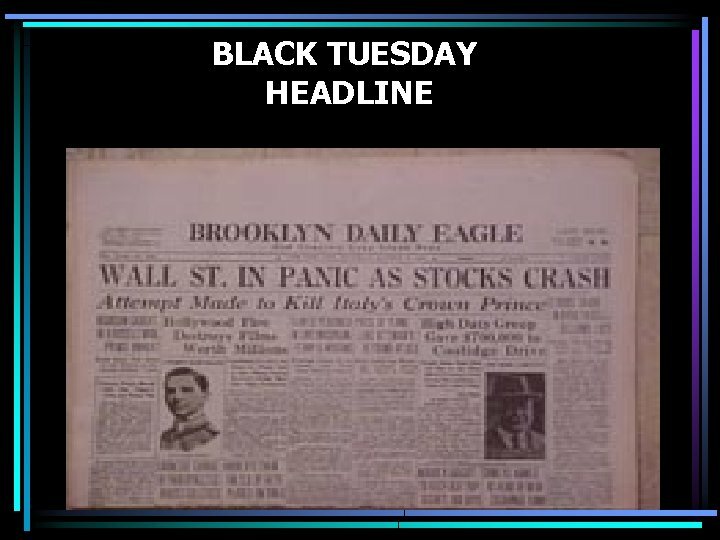 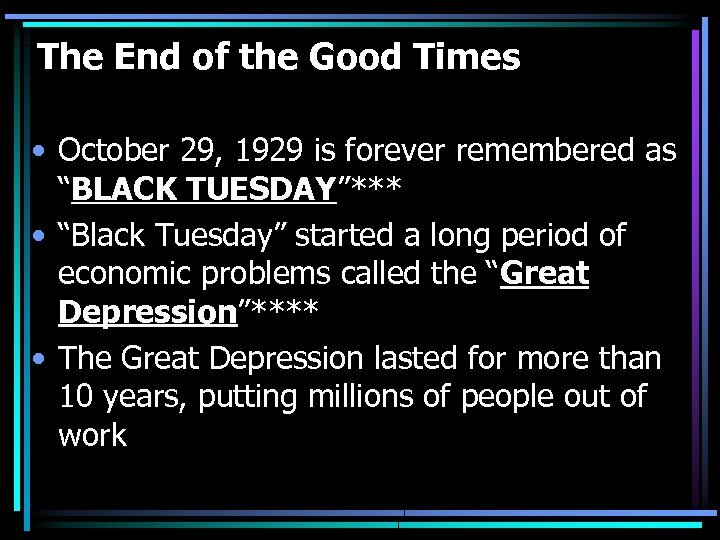 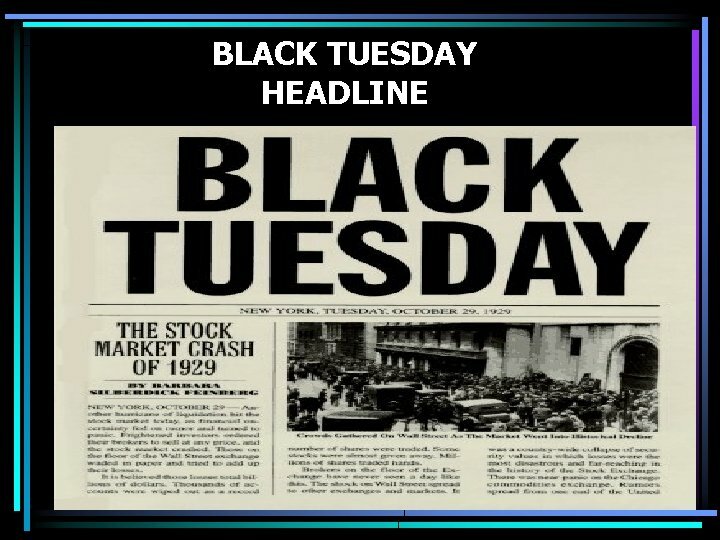 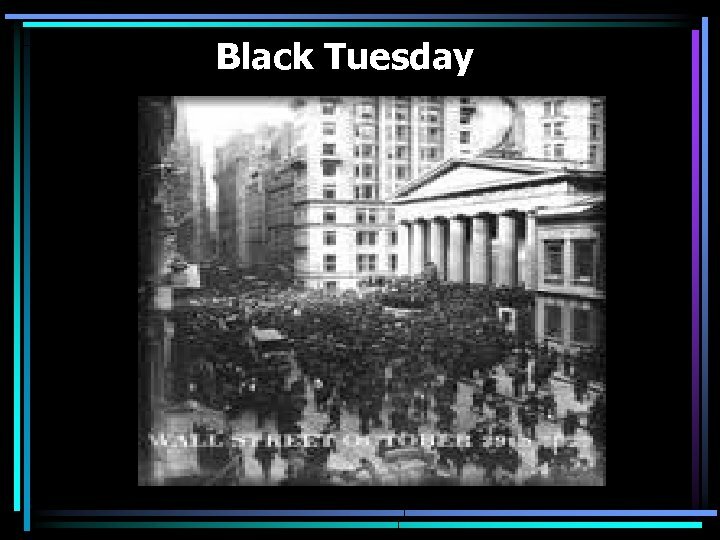 • 1932 (One of the worst years of the Depression) – fell to $63 million! 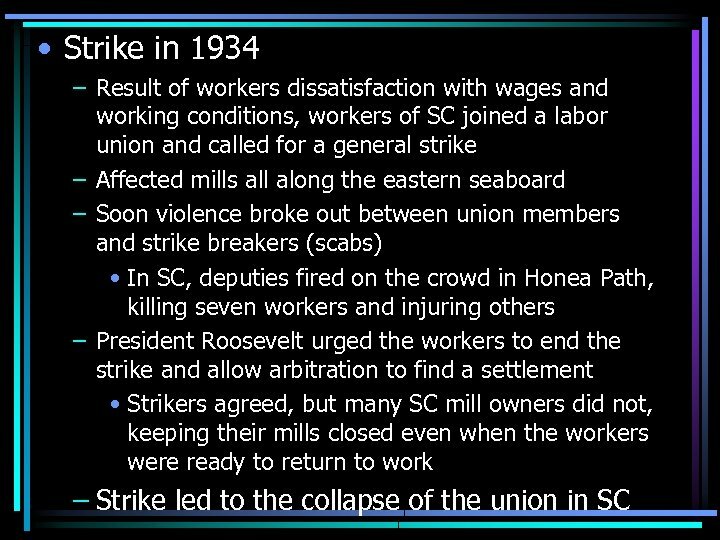 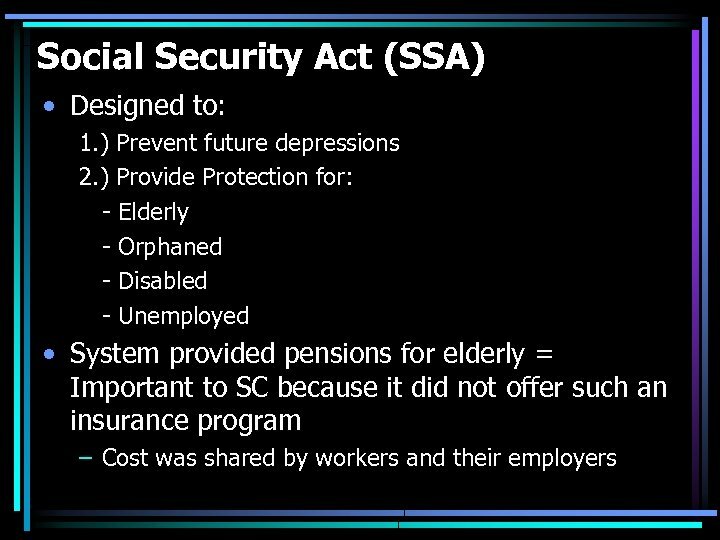 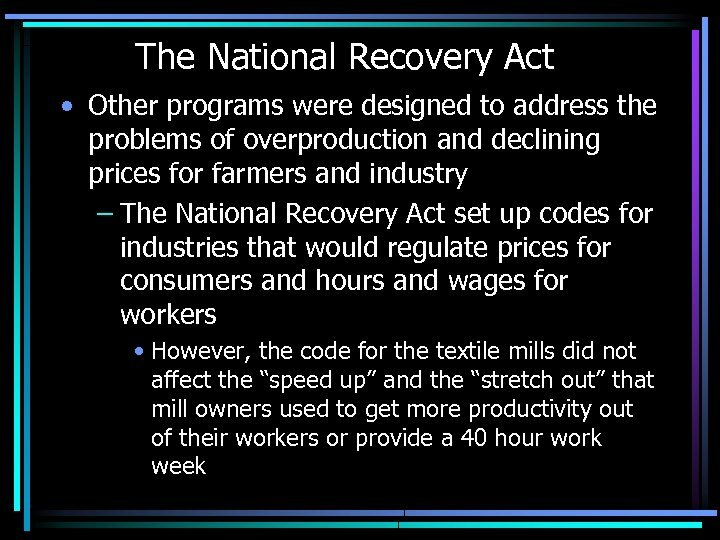 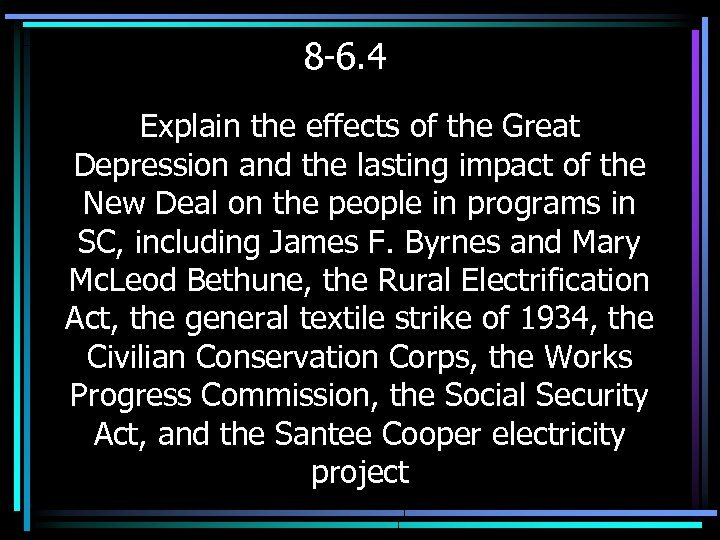 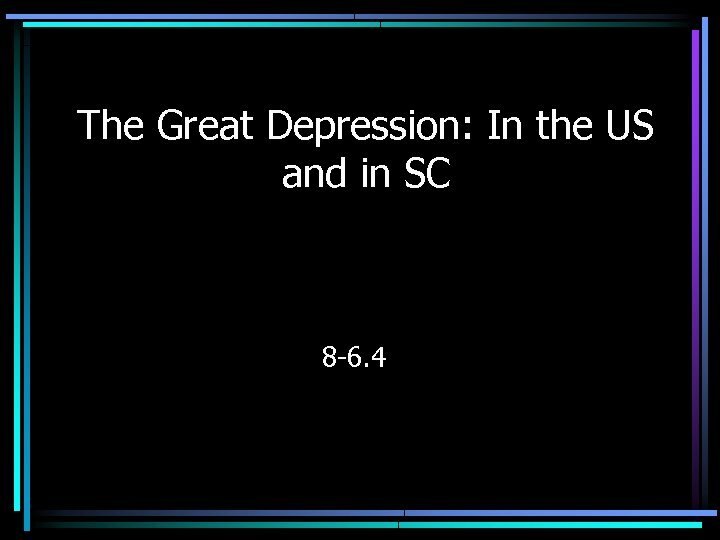 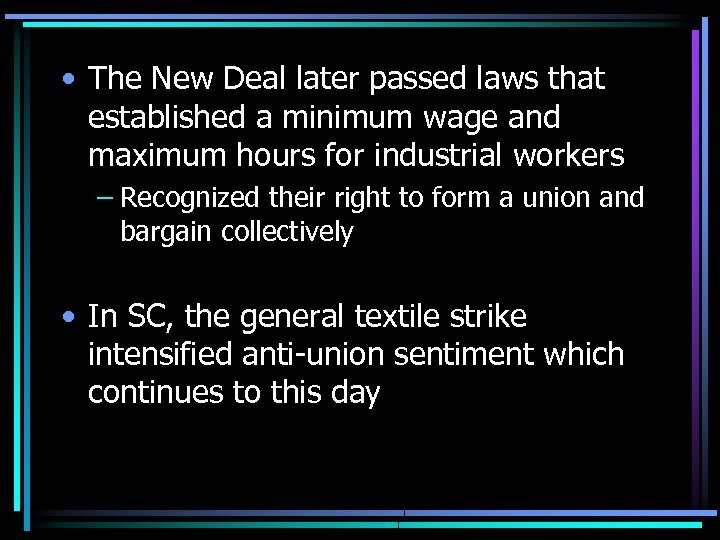 • A quarter of the people in SC were unemployed • Mill workers made only ten cents an hour, if they even had a job! 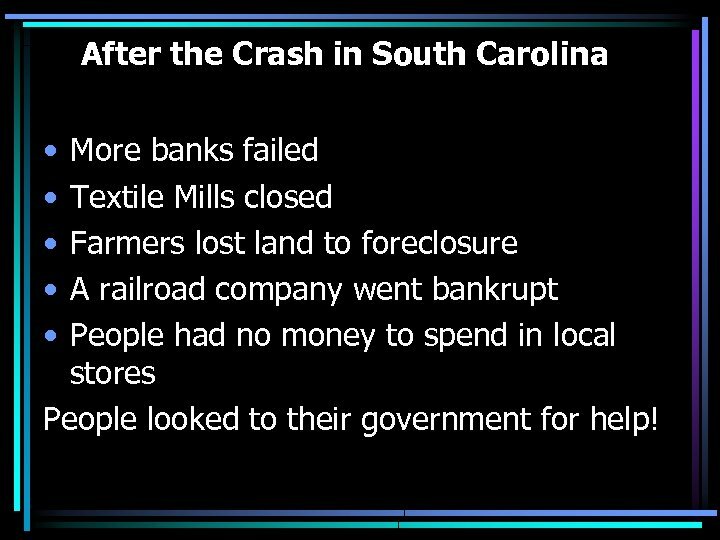 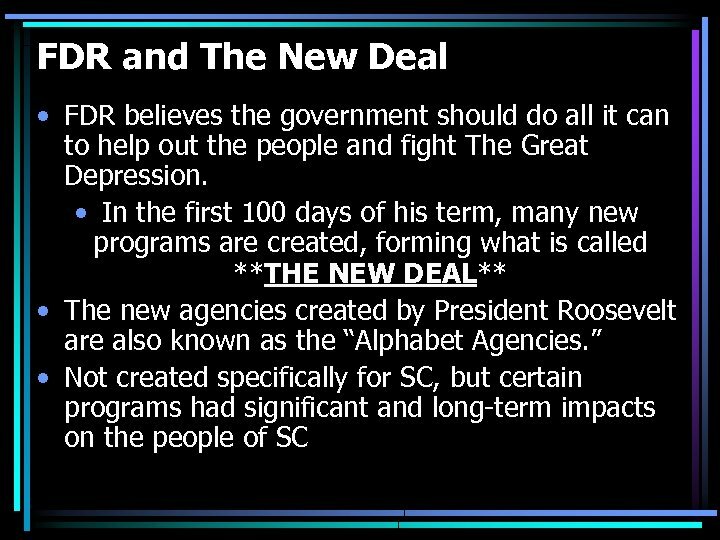 After the Crash in South Carolina • • • More banks failed Textile Mills closed Farmers lost land to foreclosure A railroad company went bankrupt People had no money to spend in local stores People looked to their government for help! 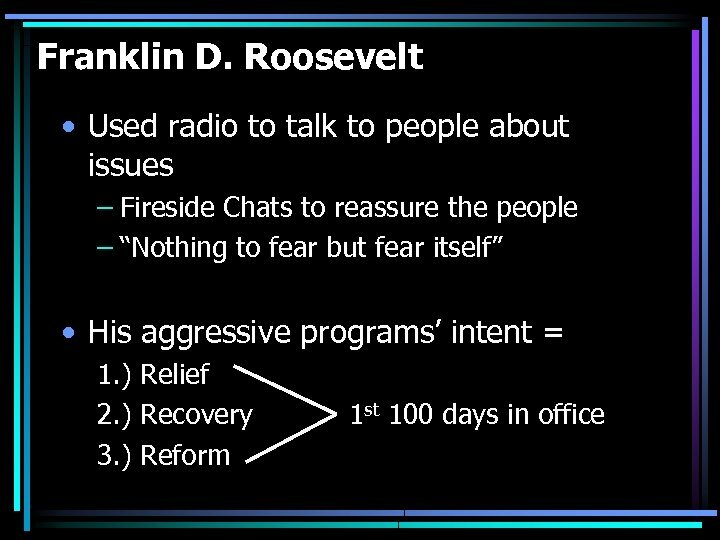 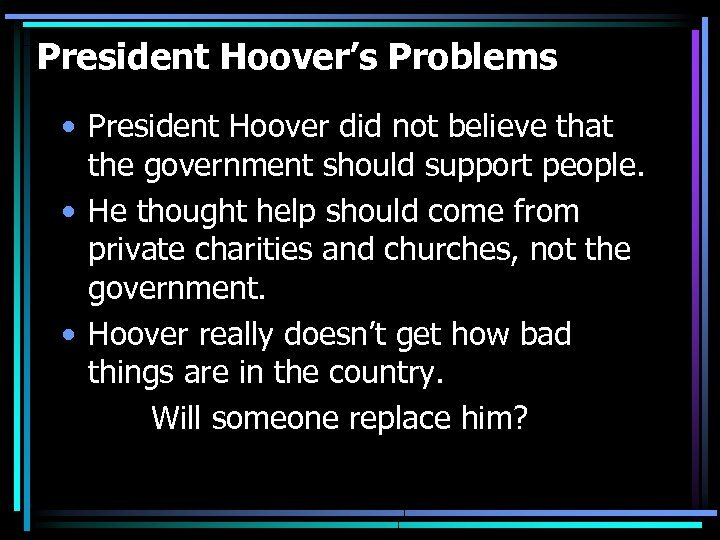 President Hoover’s Problems • President Hoover did not believe that the government should support people. 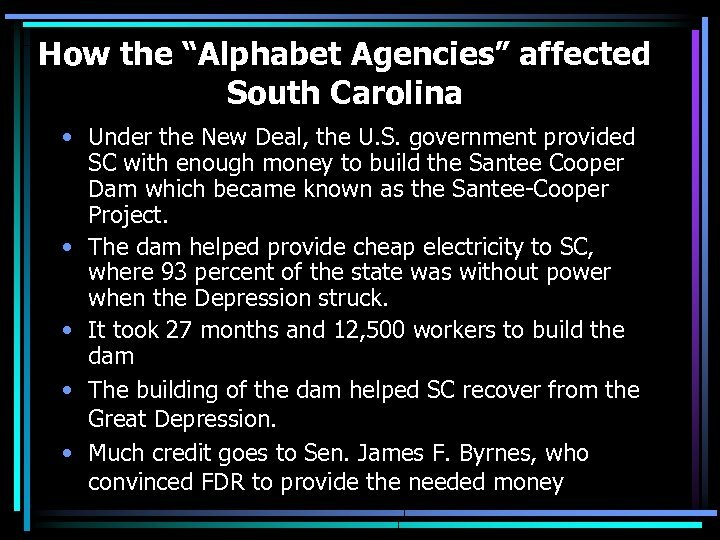 • He thought help should come from private charities and churches, not the government. 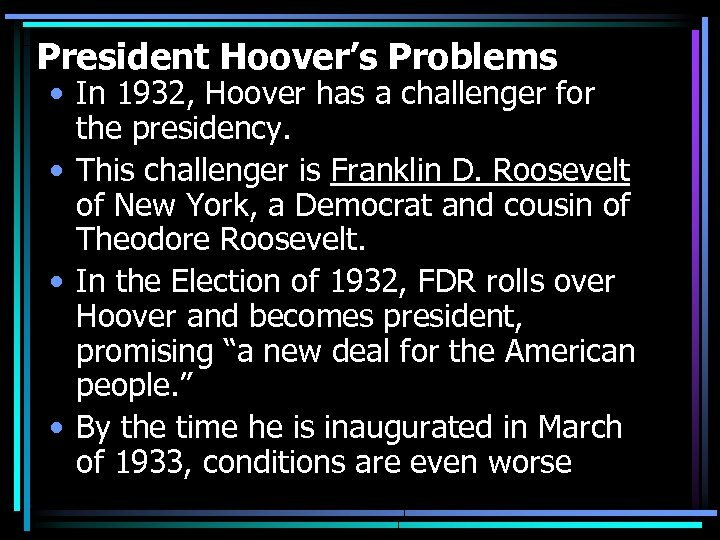 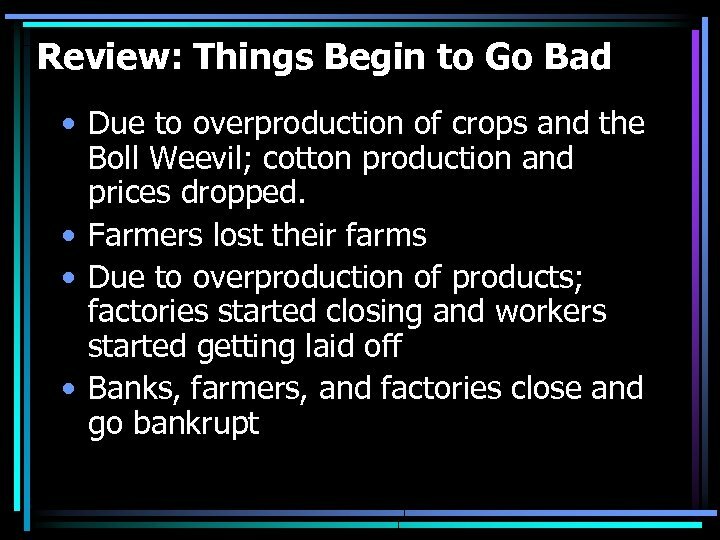 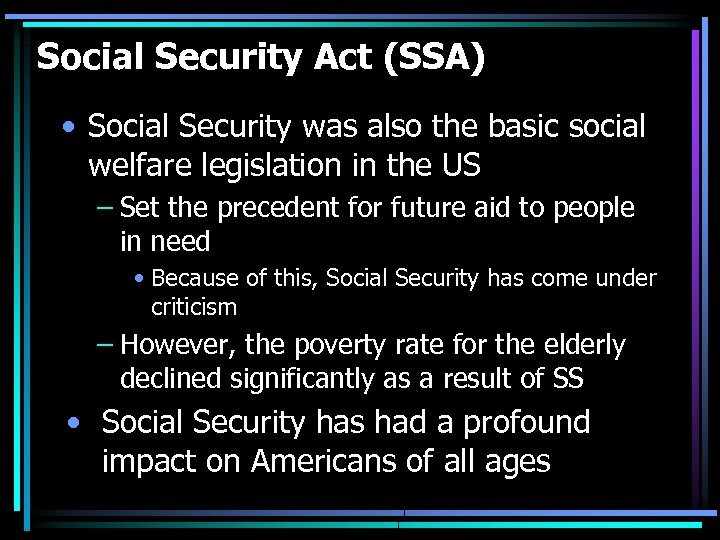 • Hoover really doesn’t get how bad things are in the country. 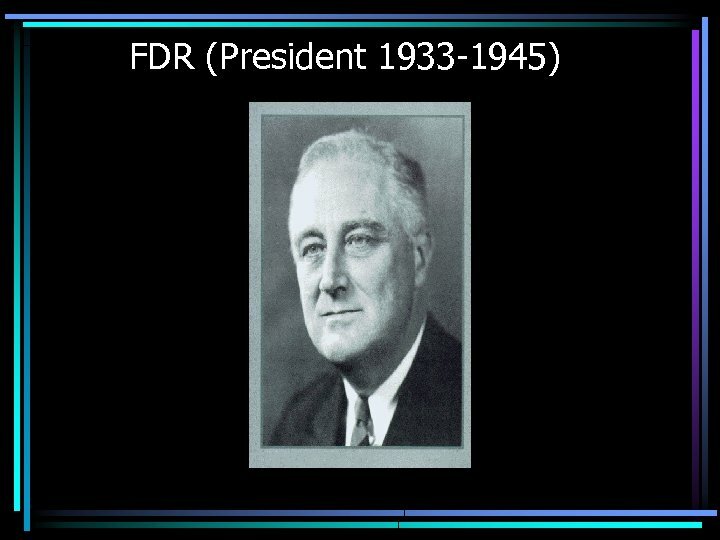 Will someone replace him? 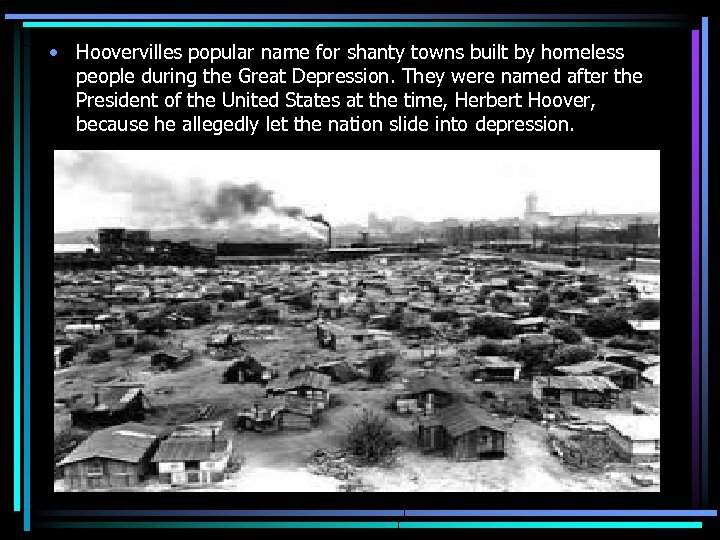 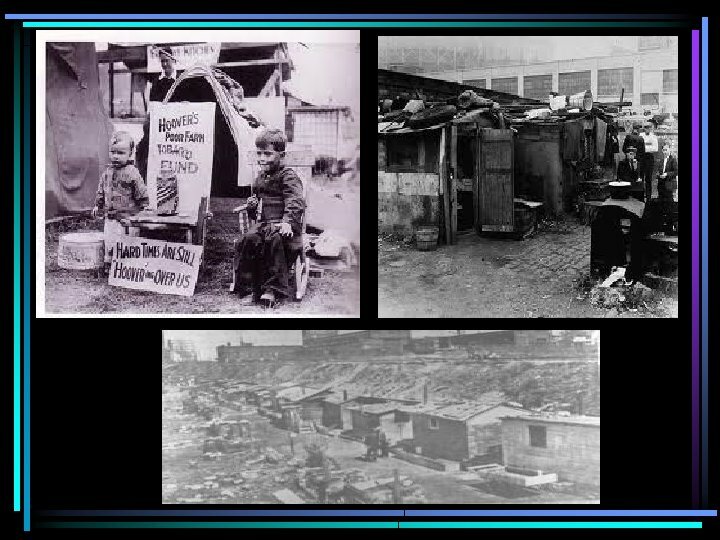 • Hoovervilles popular name for shanty towns built by homeless people during the Great Depression. 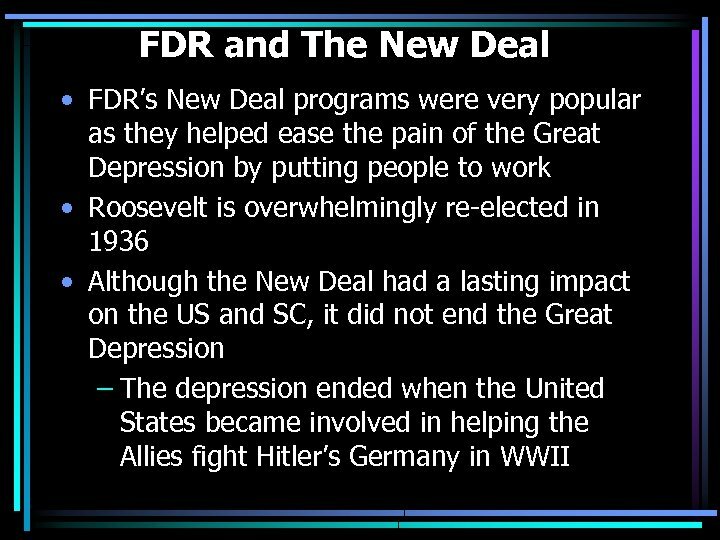 They were named after the President of the United States at the time, Herbert Hoover, because he allegedly let the nation slide into depression. 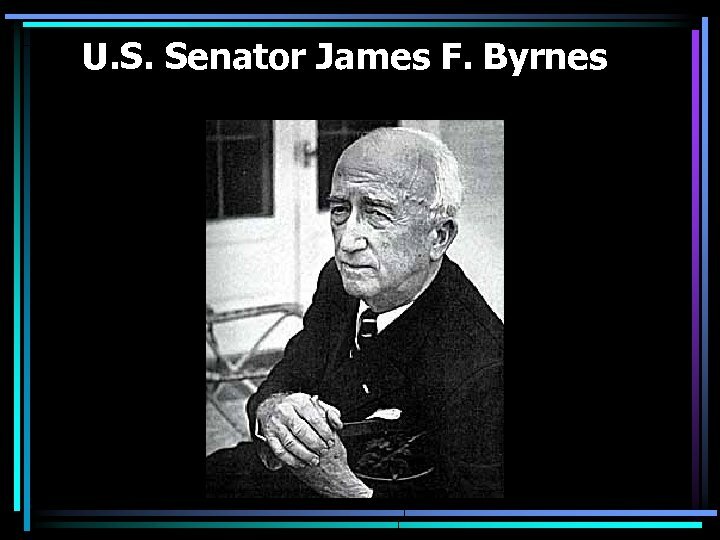 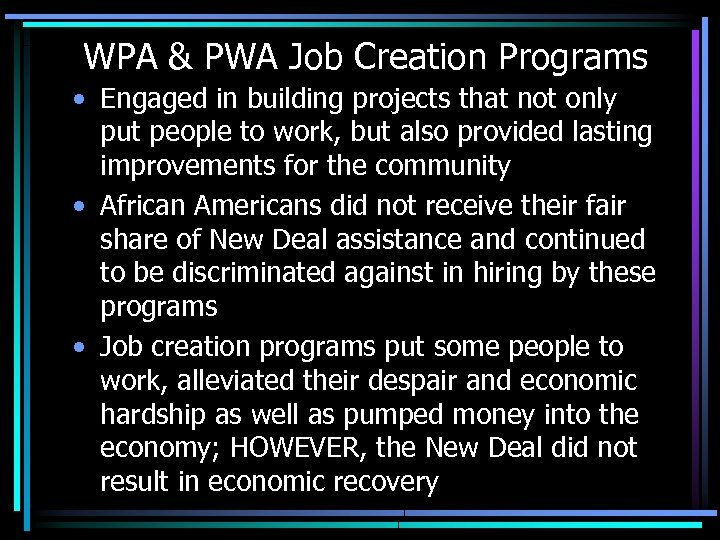 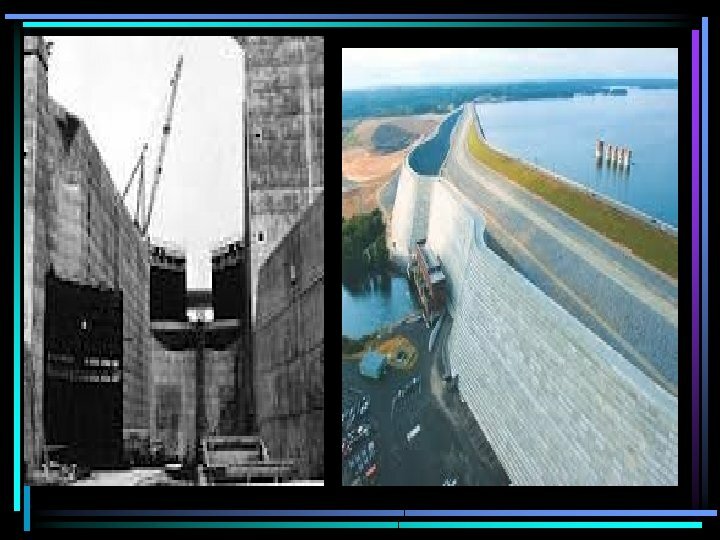 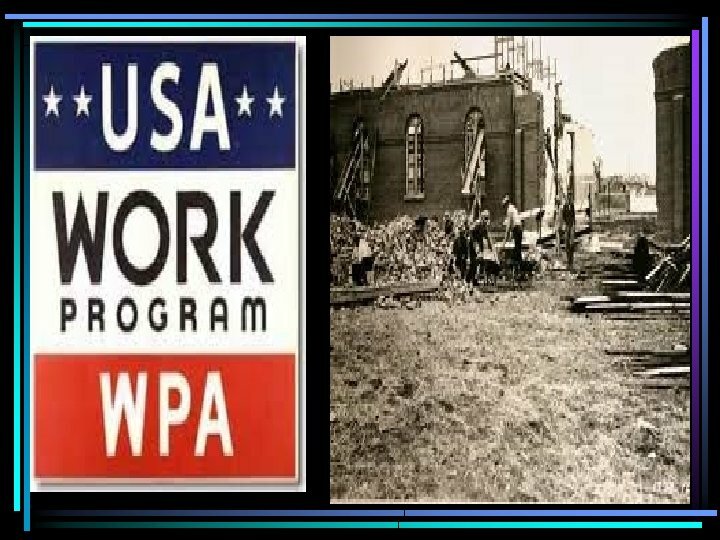 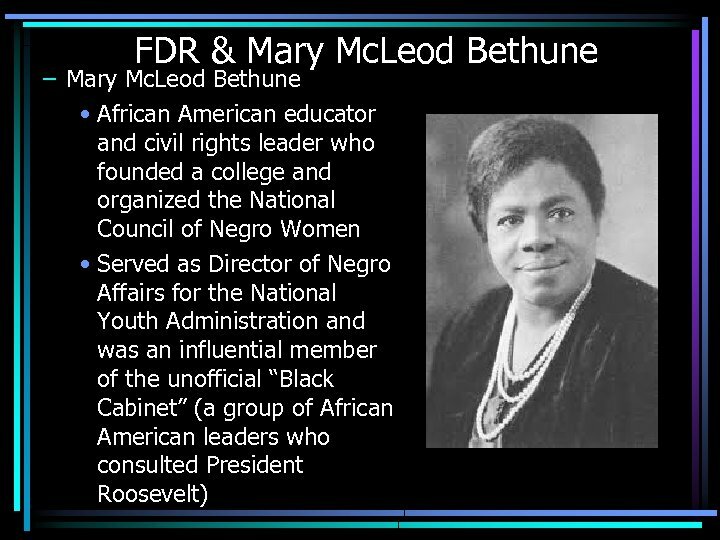 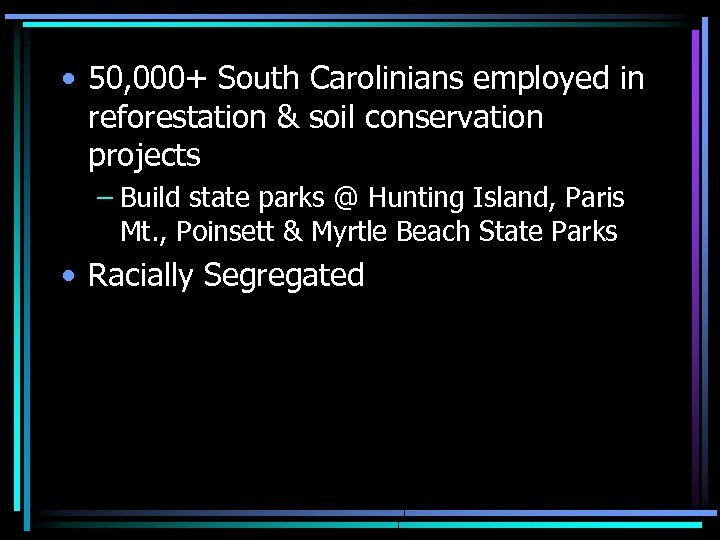 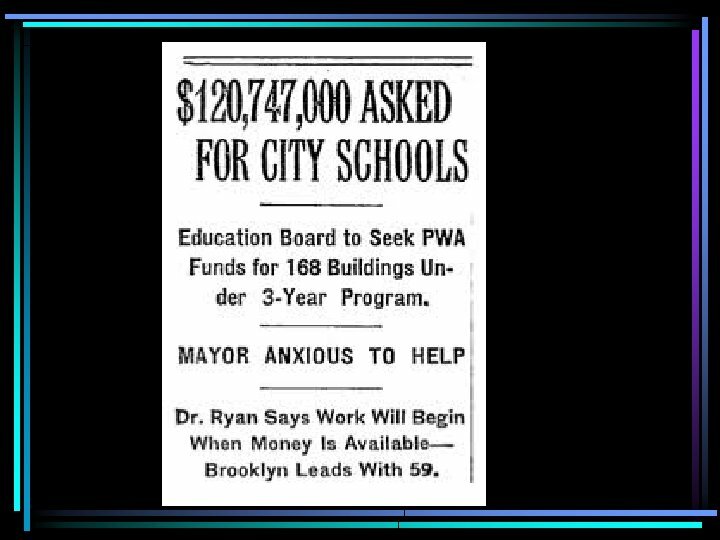 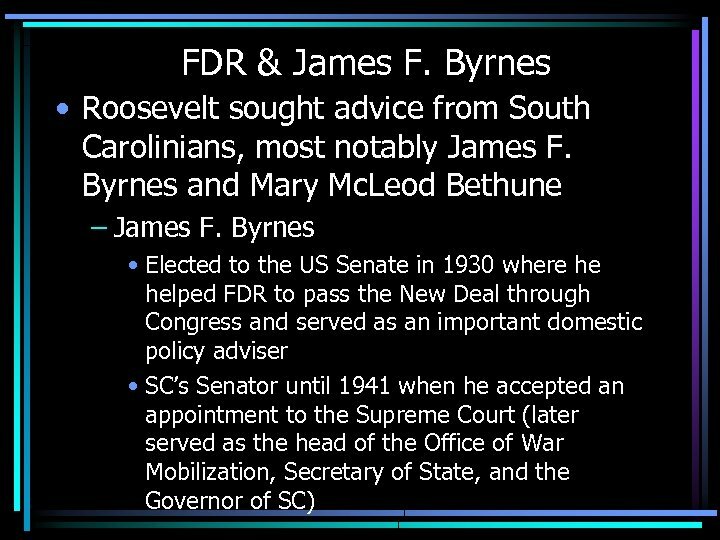 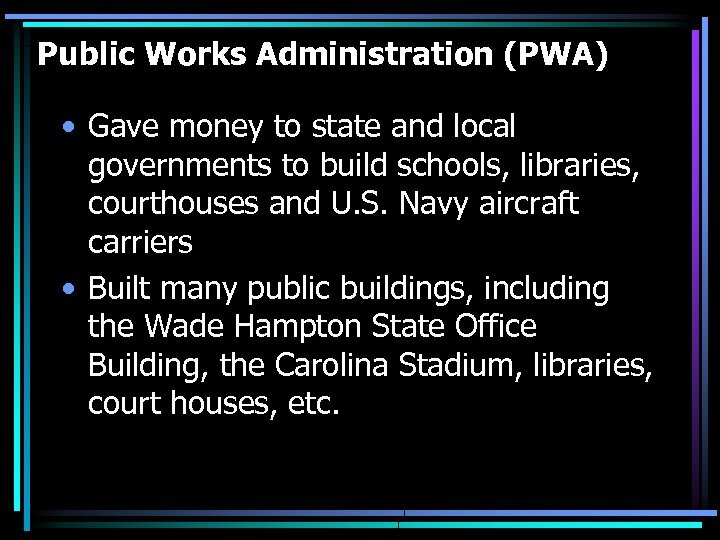 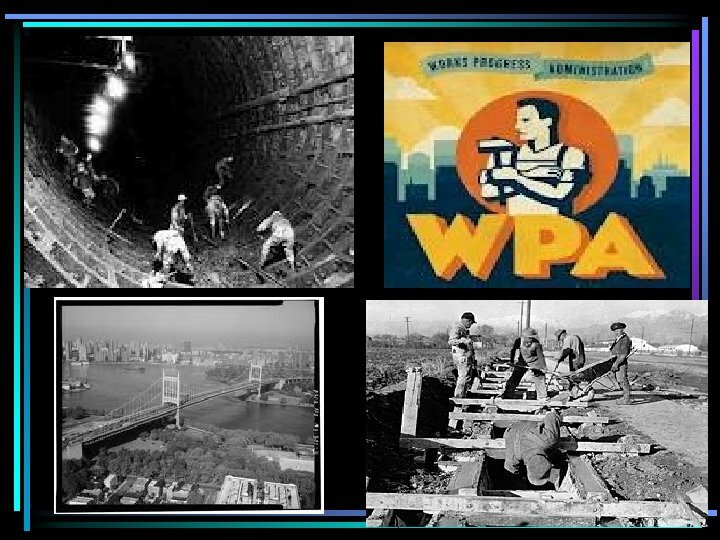 Public Works Administration (PWA) • Gave money to state and local governments to build schools, libraries, courthouses and U. S. Navy aircraft carriers • Built many public buildings, including the Wade Hampton State Office Building, the Carolina Stadium, libraries, court houses, etc. 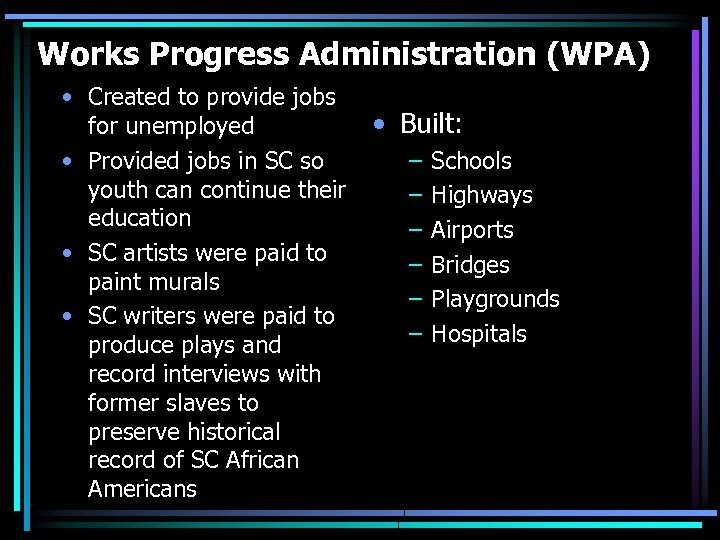 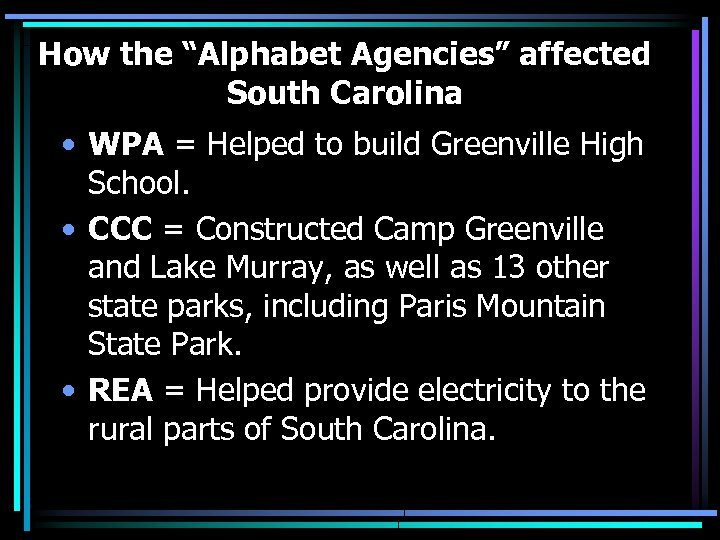 How the “Alphabet Agencies” affected South Carolina • WPA = Helped to build Greenville High School. 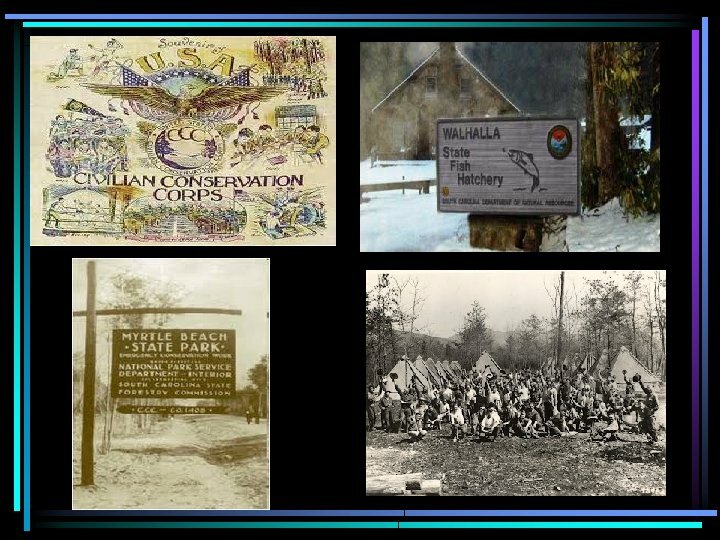 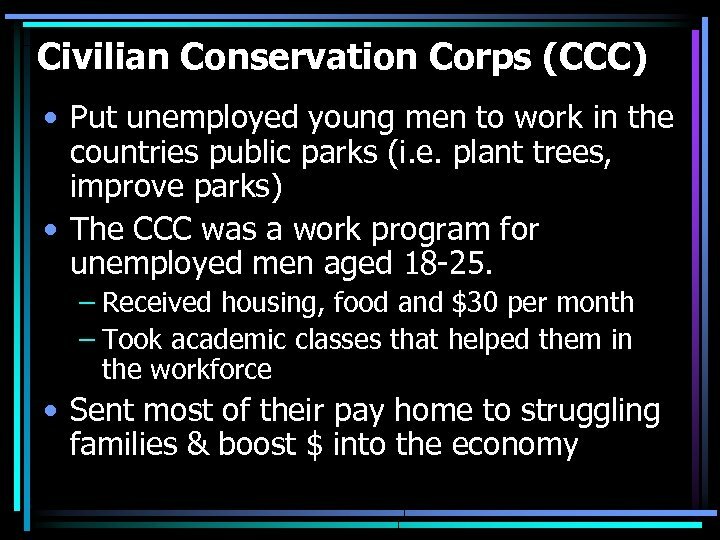 • CCC = Constructed Camp Greenville and Lake Murray, as well as 13 other state parks, including Paris Mountain State Park. 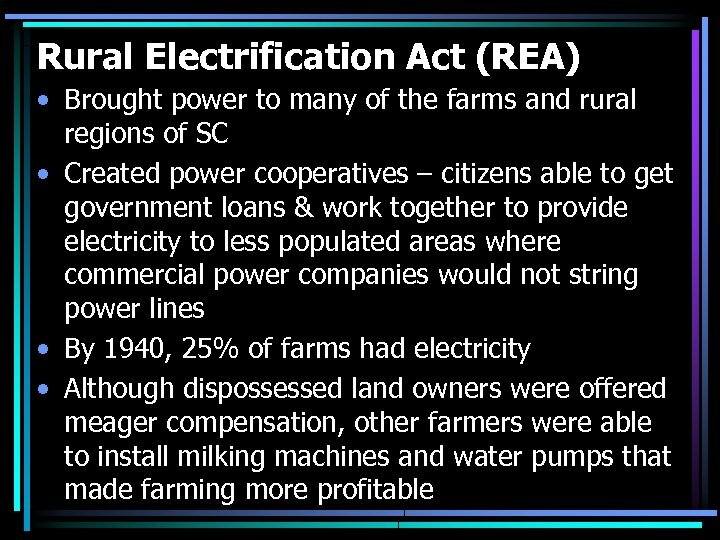 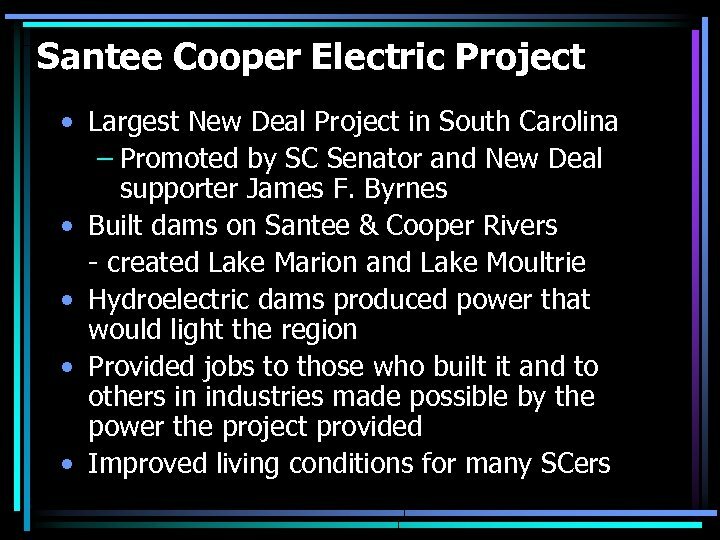 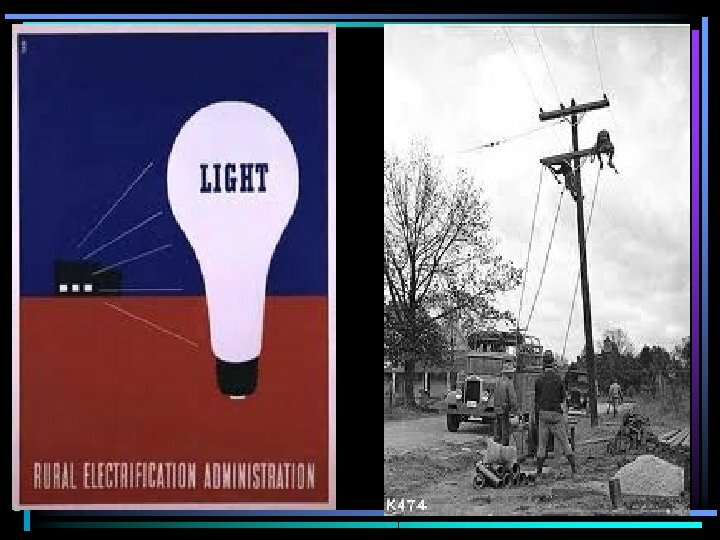 • REA = Helped provide electricity to the rural parts of South Carolina.